The Southern Highland is known for its lush green landscape and winery. Amongst the many townships in this region, a particular large village that seats on an elevated plateau is the town of Robertson. 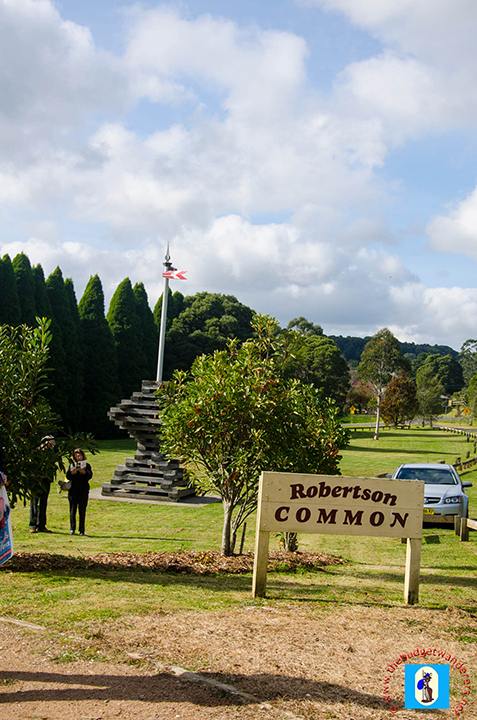 Near the railway station is the Robertson Common, a remembrance park where a Memorial to the Railway Workers can be seen. Memorial to the Railway Workers which was made from railway sleepers. This quiet town of less than 2000 people is home to one of the oldest cheese factories found in Australia. 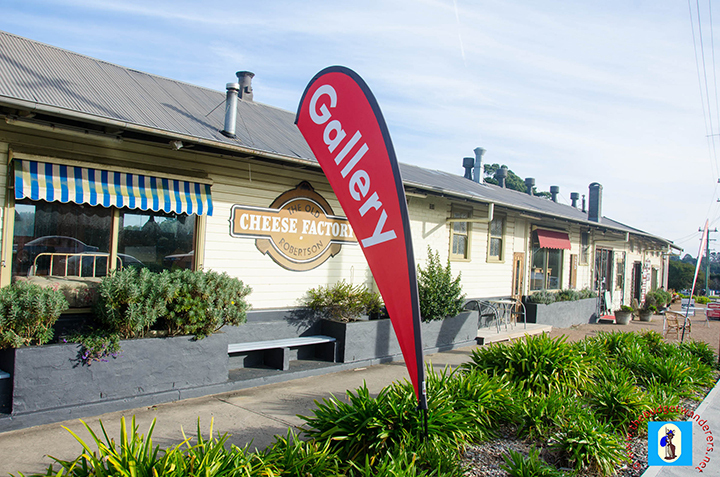 The Old Cheese Factory Robertson, established in 1936, is nestled a few kilometres from the town centre and boasts of various dairy products being sold in different sizes. It also sells other notable products of Robertson from sweets to sauces as well as various colourful crafts. The Old Cheese Factory Robertson, home to one of the oldest cheese factories in Australia. 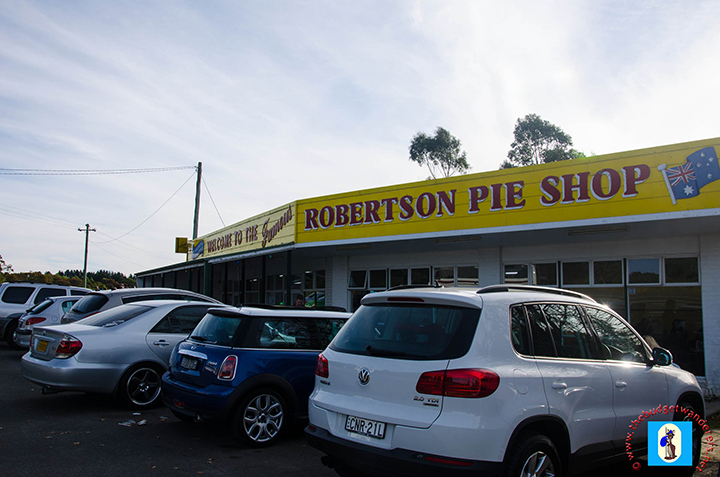 Robertson Pie Shop, home of the best pies in the Southern Highlands. Besides an old cheese factory, Robertson is also home to one of the best homemade pies in NSW, the Robertson Pie Shop. Their ranges of pies are delectably nice and filling, which gives their clients a wide range of choices. We even had a chance of bringing a whole box of pie home as we liked it so much. Try their blueberry-apple pie! 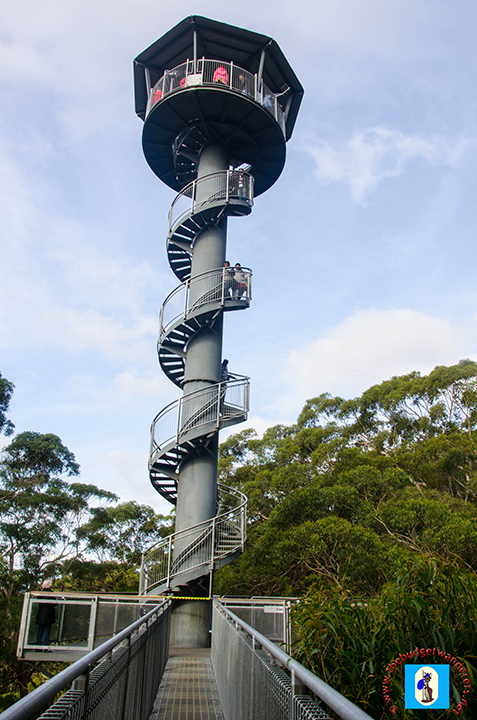 A view of the height of the Illawarra Fly Treetop Walk. 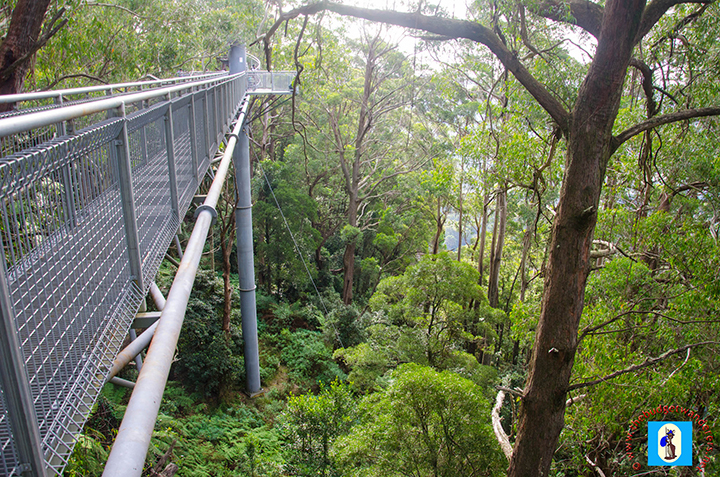 Aside from the scenic landscape of Robertson, one of its main attractions is the Illawarra Fly Treetop Walk. This tourist attraction gives a 360 degrees overview of the whole of Robertson and surrounding suburbs specifically the city of Wollongong. Once atop this 1500 metre walkway which is approximately 20-30 metres above ground level, various flora and fauna may be seen in its surrounding rainforest. Midway to the walkway is the Knights Tower, spiral tower that is about 45 metres above the ground of the rainforest. Once their a coin-operated binoculars are in place for visitors to have a closer look of nearby valleys and towns. A view of the pathway of the Illawarra Fly Treetop Walk. Rainforest surrounding the Illawarra Fly Treetop Walk. Entrance to the Illawarra Fly Treetop Walk. In its two sides, about a few metres from the Knights Tower, are two swinging springboard beams which will make knees wobble and may make the fearful a hard time to confront. For those who have acrophobia, it is best to stay away from it! 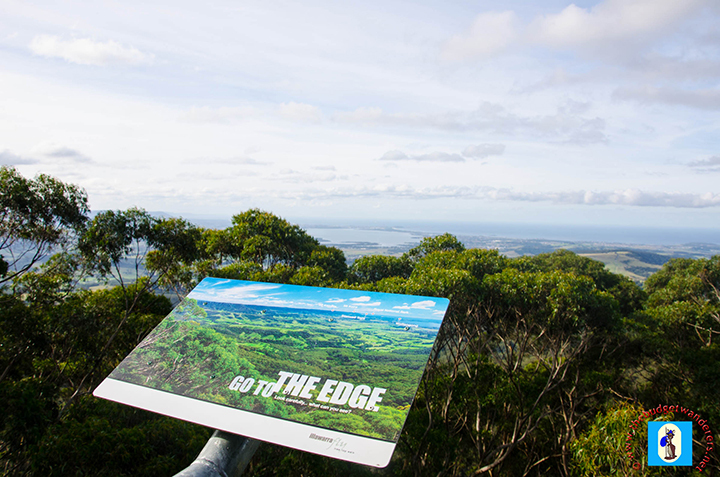 A view of the Lake Illawarra from one of the swaying springboards of Illawarra Fly Treetop Walk. 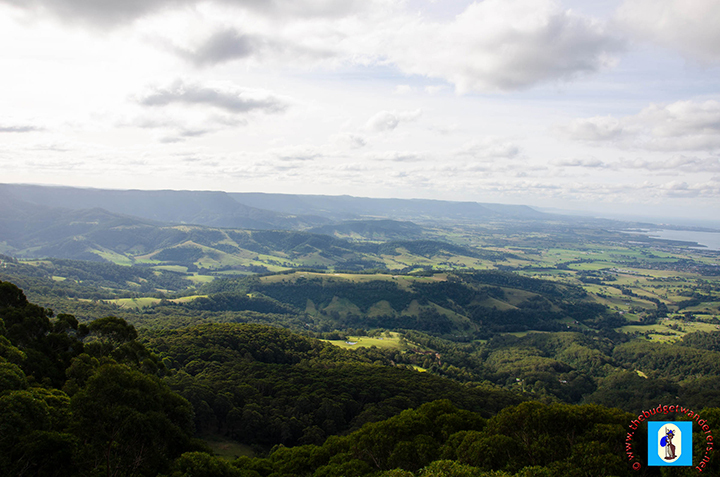 A view of the Illawara region from atop the Illawarra Fly Treetop Walk. 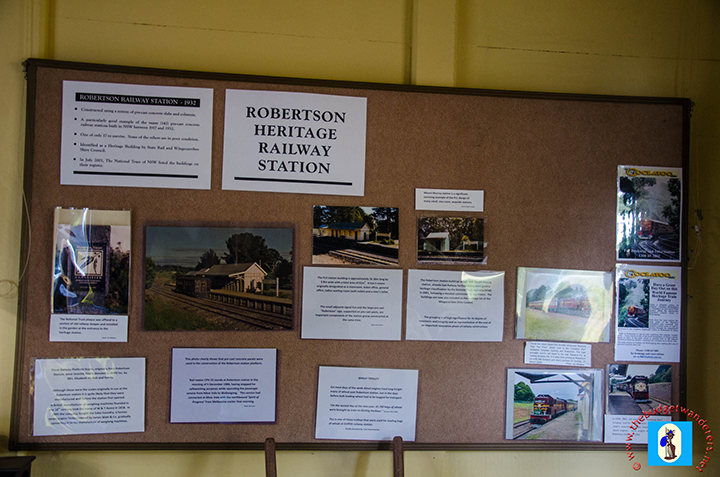 In general, Robertson is a great place to see and visit for both families and friends. 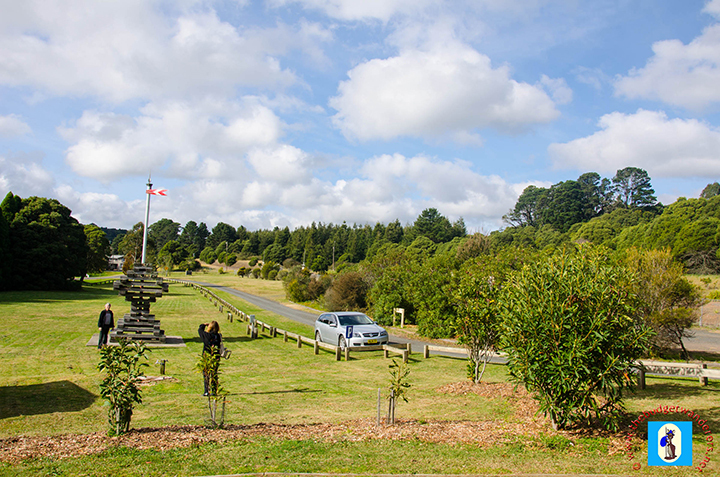 Besides the three things we just enumerated, there are other marvelous ‘kept secrets’ that the town is waiting to be unravelled for those who wish to see this heart of the Southern Highlands. I visited this place in September 2005. It was wonderful with spectacular views from the tower. I’d go again in a second….anyone have an extra plane ticket to Melbourne? Hi, I think you are referring to the Ottway Fly in Victoria, the images here, are from the Illawarra Fly Treetop Walk just outside Robertson, NSW. Great photos of the scenery. Thanks for sharing. I’d love to go to this place. Thanks for appreciating. It is worth to go to this place. Very calm environment that gives you a relaxing stay.